– Mani Mamallan, Founder, Chairman and Managing Director, Electronic Payment and Services (P) Ltd.
Universal financial inclusion agenda gained momentum in India 2005 onwards after the Reserve Bank of India (RBI), India’s Central Bank, drafted the Financial Inclusion Policy. Indian ATM industry has been instrumental in supporting financial inclusion initiatives of India. Hence, there is an increasing need for expanding the ATM infrastructure aggressively to drive financial inclusion at a faster pace. Outsourcing of ATM services brought in the much-needed rigor to the expansion of ATM infrastructure. The Indian Managed Services and Outsourcing industry has been playing a key role in faster expansion of ATM network to achieve the last mile financial inclusion. I. Trace the emergence of new business opportunities for the ATM Managed Services and Outsourcing industry vis-à-vis Government of India’s financial inclusion initiatives. II. Based on the information provided in the case study, analyze EPS’ business model. How significant has been the role of leadership in building a successful business in the ATM Managed Services and Outsourcing industry? This case study focuses on the entrepreneurial journey of Electronic Payment and Services (P) Ltd. (EPS), in the backdrop of ‘Indian ATM Managed Services and Outsourcing Industry’. Focusing on EPS, it helps understand the nuances of business and revenue model of players in the Indian ATM Managed Services and Outsourcing Industry. The case study gives an overview of the working of the industry in general and that of EPS in particular. Besides, it discusses the challenges faced by the company despite it being a successful startup and suggests ways in which EPS can overcome these challenges. It also gives an opportunity to use theoretical frameworks such as Michael Porter’s Five Forces Model, SWOT Analysis, etc. 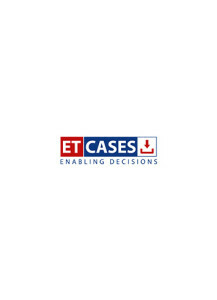 This case study focusses on the entrepreneurial journey of Electronic Payment and Services (P) Ltd. (EPS) – one of the startups in the Indian ATM Managed Services and Outsourcing Industry. Industry veteran, Mani Mamallan, also known as ‘The Architect behind Indian ATM Systems’, founded EPS in 2011. Supported by the vast industry experience of its founder and other members of the leadership team alongside the financial inclusion initiatives of the Government of India, EPS grew rapidly and its revenues increased from INR8 crore in FY2013 to INR170 crore in FY2016. 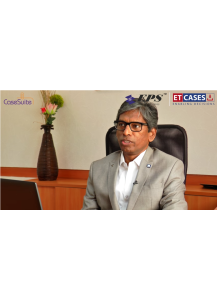 Although EPS achieved quick growth, it is faced with the challenge of coping up with this fast-paced growth. What measures can EPS take to overcome this challenge? Further, EPS is led by the vision to be the leading provider of technology solutions in the Retail Banking & Payments System. What are the challenges faced by this young enterprise in its path to achieve its vision and how can it overcome these challenges? This case study focuses on these dilemmas and debates on the roadmap for the company.